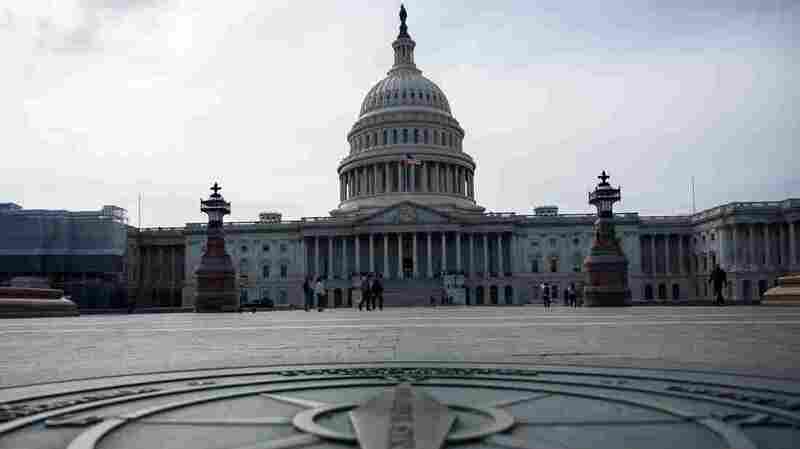 The U.S. Capitol in Washington, D.C., on Sunday. Special counsel Robert Mueller’s work is done, but the Russia imbroglio likely has a few more encores before the curtain closes. Attorney General William Barr notified Congress on Sunday of a huge milestone in the saga: Mueller has submitted a report that did not find that President Trump’s campaign conspired with the Russians who interfered in the 2016 election. Now the Russia cloud is dispelled, as Sen. Lindsey Graham, R-S.C. wrote, and Trump is free to “govern the country” and begin working now to safeguard the 2020 election from foreign interference. Democrats, however, don’t appear prepared to let this go. So there may be still more big revelations to come that go beyond the attorney general’s four-page letter to key members of Congress. About the only issue on which Washington has lately been able to reach a bipartisan consensus is that Mueller’s full report and its underlying material must at least go to Congress, if not become public. Republicans want it. Democrats want it. The president has said he doesn’t object. And Barr, in his synopsis on Sunday, said he intends to make good on his earlier commitments to release as much as he can of what Mueller found, within the bounds of the law and regulations. As Barr’s letter made clear, Justice Department officials other than Mueller are still conducting investigations with ties to the president. Criminal cases are still underway and prosecutors also are looking into Trump’s inaugural committee and, potentially, other matters. Democrats in the House also have launched investigations into the president and his businesses, potentially involving alleged financial fraud. For example, Trump’s former personal attorney, Michael Cohen, has described how Trump and his businesses deflated the value of their holdings to lower their tax burden. If investigators could substantiate that kind of activity, it still could mean trouble for Trump world separate from Mueller’s Russia investigation. Mueller’s office has been the single biggest source for the public of information about how the Russian government interfered in the 2016 presidential election. The synopsis Barr gave to Congress recounted two well-known aspects of that campaign: The social media agitation wrought by the troll factory known as the “Internet Research Agency” and the hacking, theft and release of information that embarrassed political targets in the United States. Barr’s letter calls those the “two main efforts” by Russia to influence the election, but it doesn’t detail other, non-“main” aspects of the attack on the election that also have been established. Those included Russia’s cyberattacks against state election systems and, potentially, its use of fraudulent documents and attempts at infiltration of politically influential U.S organizations. They include whether Russia sought to seed money into the U.S. political system, potentially indirectly via “straw donors,” and what other avenues it might have tried to use to influence the election, if any, that have yet to be revealed. If, per the near-universal demands of members of Congress, Mueller’s full findings are one day released, they could detail what he and investigators uncovered about the full suite of “active measures” unleashed by Moscow against the United States — and help Americans prepare better for future campaign cycles and elections. Why didn’t certain actions break the law? One basis for the Russia investigation was the number of contacts between people in Trump’s campaign and Russians or their agents in 2016. The contacts themselves aren’t in dispute — for example, the meeting at Trump Tower in June 2016 at which Donald Trump Jr. and other top campaign leaders hosted a delegation of Russians who Trump Jr. had been told would offer dirt on Hillary Clinton. Yet Barr’s letter on Sunday said that Mueller did not conclude there was a conspiracy and no more charges are pending from Mueller. There had been clues before that prosecutors didn’t consider those involved with the Trump Tower meeting to have broken the law; campaign chairman Paul Manafort, for example, who also took part, faced two federal prosecutions — but neither of them alluded to the June 2016 meeting. Mueller’s decisions about whom to charge and whom not to charge, in Manafort’s and other cases, will be scrutinized whenever the material that Barr has promised becomes available to Congress or the public. Why didn’t Mueller try to interview Trump in person? Ultimately, Mueller and the Justice Department apparently contented themselves with the written answers to the written questions they submitted to Trump’s legal team. A big question for Mueller and his team will be how much they debated trying to force the issue with Trump’s lawyers, and how close they might have come to asking a grand jury to subpoena Trump. The stakes of a potential dispute over a subpoena were huge, including the prospect that the Supreme Court itself might weigh in on whether or not Trump could reject Mueller’s effort to question him in person. That didn’t happen. 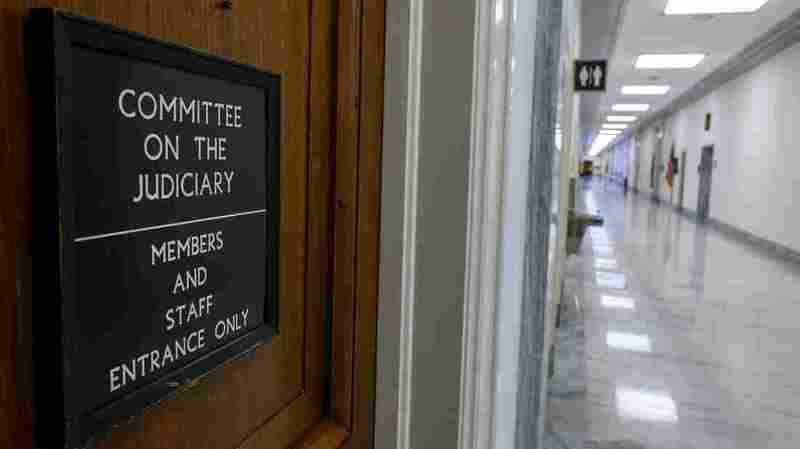 An entrance to the House Judiciary Committee inside the Rayburn House Office Building is seen in Washington, D.C., on Sunday. House Judiciary Committee Chairman Jerry Nadler, D-N.Y., made clear on Sunday that he not only won’t be satisfied until he gets Mueller’s full report, but wants to hear in person from Barr, too. Nadler threatened to issue a subpoena if he must but Barr has committed in the past to being responsive to requests from Congress, making it likely that he may go to Capitol Hill for at least one hearing about Mueller’s report. Barr — or Deputy Attorney General Rod Rosenstein, who is expected to step down before long following the confirmation of his replacement, Jeffrey Rosen — could fill in many of the blanks about the hows and whys of Mueller’s investigation. Some members of Congress have said they want to hear from Mueller himself, and Democratic discomfiture with Barr’s letter on Sunday may revive the desire from critics of the president to try to hear from Mueller personally that he was allowed to work as he wished.